Of all the classic Hollywood films, it's one of the best-known and most enduring — this week, Casablanca turns 75. Amazingly, the people involved thought it would be just another Hollywood flick, one of hundreds the studios would release every year. But the film shot Humphrey Bogart and Ingrid Bergman to a new level of stardom and their lines in the film have been woven into the fabric of modern pop culture. So to celebrate the anniversary, we've gathered 13 fascinating facts, from the pricey purchase of the original play to the movie's Canadian connection. Playwright Murray Burnett co-created expat café owner Rick Blaine, piano player Sam, Czech resistance fighter Victor Lazlo and fresh-faced Ilsa Lund when he and his writing partner Joan Alison penned a play called ''Everybody Comes to Rick's" in 1940. Having watched the political change that was sweeping across Europe, the pair intended it as a cautionary tale about the perils of fascism. Over the years, Burnett was reportedly approached by many people who wanted to buy the rights to a sequel, among them director John Cassavetes, but the writer turned them all down because he thought Warner Brothers might sue him. The movie title definitely wouldn't have had the same ring if the creators had stuck with the original setting — Lisbon. But they later moved it to Casablanca, a place that Burnett had never seen, and never did in his lifetime, despite the sweeping success of the story he created. Like most film stars, Bogart seemed larger than life, but in person he stood 5' 8" tall. Bergman, however, was almost two inches taller. As a result, director Michael Curtiz had Bogie stand on blocks or sit on cushions to make him seem taller than Bergman. As exotic as it looks, the entire film was shot at Warner Brothers Studios in Burbank, California. There was one exception: the opening scene, which sees Nazi villain Heinrich Strasser flying past an airplane hangar, was shot at Van Nuys Airport in Van Nuys, Los Angeles. The final farewell tarmac scene, however, was filmed at Warner studios in Burbank. Incidentally, that famous airplane hangar, which also appeared in the Laurel and Hardy comedy The Flying Deuces, was removed from Van Nuys during renovations in 2007 and moved to a Los Angeles parking lot. Earlier this year it was saved from the wrecking ball and will be moved to the Valley Relics Museum. The goal is to restore it and use it as part of a Moroccan-themed restaurant at Van Nuys Airport. The release of Casablanca was rushed because of real-life world events. Originally the film was slated for release in early 1943, but the film premiered at the Hollywood Theater in New York City on November 26, 1942. Why? The publicity people moved it forward to coincide with the Allied invasion of North Africa and the capture of Casablanca. 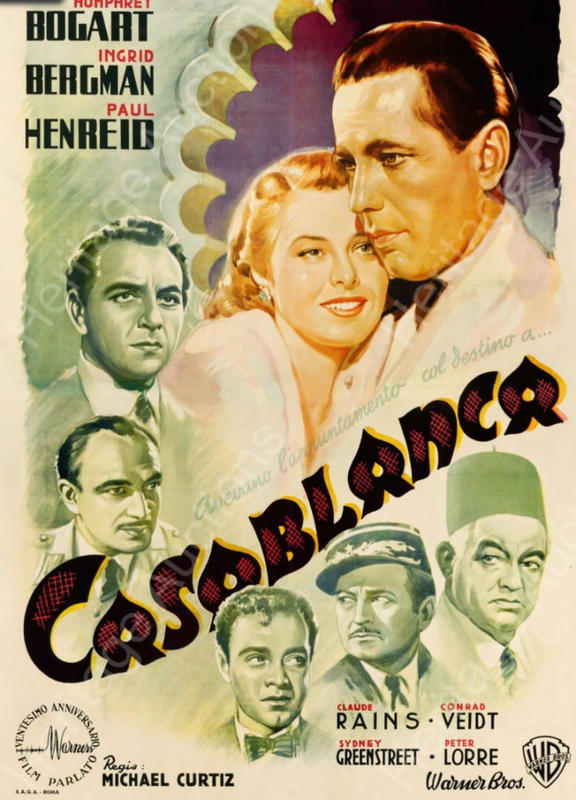 The film then went into wide release on January 23, 1943, to coincide with the Casablanca Conference, a high-level meeting between Winston Churchill and Franklin D. Roosevelt in Casablanca. John Qualen, who played Berger — Laszlo's resistance contact — was a Canadian, born in Vancouver and raised in both Vancouver and rural Illinois. His family was of Norwegian descent, and Qualen specialized in Scandinavian roles, appearing in The Grapes of Wrath, The Long Voyage Home, The Searchers, The Man Who Shot Liberty Valance, Arabian Nights, Jungle Book and many more. Qualen died on September 12, 1987 at the age of 87 in Torrance, California. The last surviving member of the cast was Madeleine LeBeau, who played Yvonne, Rick's girlfriend. She died on May 1, 2016, at the age of 92. At the time Casablanca was made, censors used a heavy hand when it came to Hollywood films — and in a later interview, Julius Epstein remembered just how stringent they were. "The main thing that affected our work in those days was that we were so handcuffed by censorship — remember, the nation shook when Clark Gable said 'damn' in Gone With the Wind," remembered Epstein, who said at the time you couldn't even show a woman getting divorced. Still, when they wrote Casablanca, they tried to sneak stronger language past the censors. "I remember after a long time we could finally say 'hell.' But it had to be a sparse use of 'hell,'" Epstein recalled. "So what we would do was write fifty 'hells' and then bargain with them. We'd say, 'How about twenty-five?' We'd wind up with two or three." Even though it featured a stellar cast and top writers, nobody working on the film expected it to be anything special — just one of dozens of films to come out of Hollywood each year. But favourable reviews and Academy Awards for outstanding motion picture, best director and best screenplay propelled the film into the limelight. "Don't worry; we won't tell you how it all comes out. That would be rankest sabotage," read the 1942 review in the New York Times. "But we will tell you that the urbane detail and the crackling dialogue which has been packed into this film by the scriptwriters, the Epstein brothers and Howard Koch, is of the best. We will tell you that Michael Curtiz has directed for slow suspense and that his camera is always conveying grim tension and uncertainty. Some of the significant incidents, too, are affecting—such as that in which the passionate Czech patriot rouses the customers in Rick's cafe to drown out a chorus of Nazis by singing 'the Marseillaise,' or any moment in which Dooley Wilson is remembering past popular songs in a hushed room. "We will tell you also that the performances of the actors are all of the first order, but especially those of Mr. Bogart and Miss Bergman in the leading roles. Mr. Bogart is, as usual, the cool, cynical, efficient and super-wise guy who operates his business strictly for profit but has a core of sentiment and idealism inside. Conflict becomes his inner character, and he handles it credibly. Miss Bergman is surpassingly lovely, crisp and natural as the girl and lights the romantic passages with a warm and genuine glow." The line "Play it again, Sam" is one of the most widely quoted lines from Casablanca — but it never appears in the film. In the famous piano scene, Ilsa leans on the piano and says, "Play it once, Sam" and "Play it, Sam." Rick also says, "Play it" — but nobody says, "Play it again, Sam." Most attribute the phrase, and the misunderstanding, to Woody Allen's stage play of the same name, which became a major motion picture in 1972. 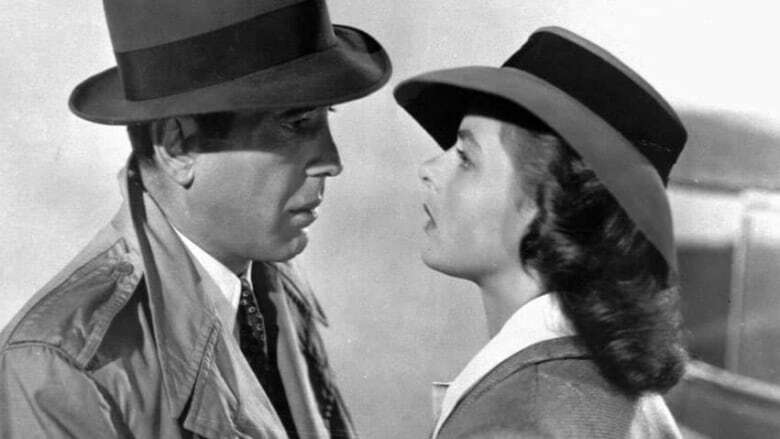 There have been short-lived TV series, radio plays and Broadway musicals that never hit the stage, but there has never been a major remake of Casablanca. There have been plenty of spoofs and references in pop culture, however. Among the famous parodies are the Marx Brothers' A Night in Casablanca (1946) and Neil Simon's The Cheap Detective (1978). The film is also heavily referenced in The Usual Suspects (1995) and in Woody Allen's Play It Again, Sam (1972), where Rick appears to give Allen's character life advice. The Simpsons also offered an alternate ending. Brothers Julius and Philip Epstein and Howard Koch are credited with writing the screenplay for the film — and they were behind many of the most famous lines, including "Round up the usual suspects," "This could be the start of a beautiful friendship" and "Here's looking at you, kid." But the script passed through many hands, and wasn't even complete when the film began shooting, so the screenplay's true authorship remains blurry. 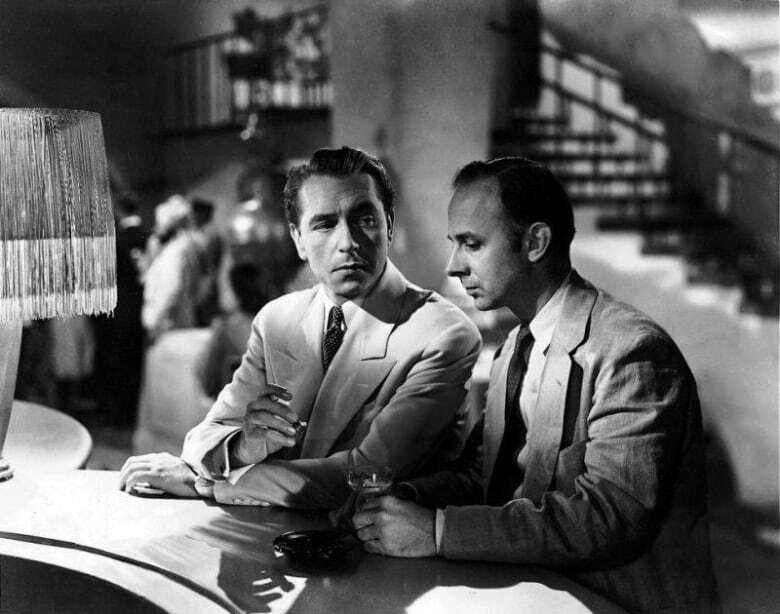 Producer Hal B. Wallis reportedly wrote the final line, "Louis, I think this is the beginning of a beautiful friendship" after shooting was complete, and Bogart had to be brought back to dub it in. The classic song "As Time Goes By" was included in the original play, but Steiner didn't like it and wanted it excluded from the film adaptation. But Bergman had already shot the scenes with the song and cut her hair for her next role, so they couldn't be re-shot, and the song stayed. After the movie was released, "As Time Goes By" spent 21 weeks on the hit parade. Steiner later admitted that the song "must have had something to attract so much attention."